While this program is very trivial, without any effort, it can quickly become problematic. What if you wanted to change the formatting from an <h1> to an <h2>? Or change the target element? Inevitably, you would have to rewrite this statement again. Combining simple functions to create more meaningful programs is the central theme of functional programming. It also creates very extensible code as I can easily swap any function (like h1 for an h2) without running the risk of breaking other parts of the program. What is compose? There’s a lot more to cover to understand this, so let’s dive in! If you’re feeling adventurous, you can play with this program here: http://jsbin.com/guwiji/edit?html,js,output. You can try out high-order functions here: http://jsbin.com/ kiruba/edit?js,console. A closure is a data structure that binds a function to its environment at the moment it’s declared. It is based on the textual location of the function declaration; therefore, a closure is also called a static or lexical scope surrounding the function definition. Because closures give functions access to its surrounding state, you can solve many problems in a terse and concise way. Does functional programming replace object-oriented? Functional programming is a software development style that emphasizes the use functions. Its main purpose is to abstract control flow and operations on data with functions in order to avoid side effects and reduce mutation of state in your code. There is a small set of very important concepts—borrowed from mathematics—that form the backbone of all functional programming. It depends only on the input provided—and not on any hidden or external state that may change as a function’s evaluation proceeds or between function calls. It does not inflict changes beyond its scope (like modifying a global object or a parameter reference). The concept of pure functions leads into another concept in functional programming: referential transparency. The problems with this program are due to its exposure to side effects by relying on external variables: nums, total, and validNums. If any of these variables change in-between calls to average, it yields different results. You can download Lodash.js here: https://lodash.com. This function iterates over the elements of a collection, invoking the provided iteratee function on each one. The callback function is supplied 3 arguments: value, index, and array. Mapping functions onto containers is an important part of functional programming. For arrays, I can use a mapping function to transform its contents into an array of similar length as the original, while keeping the original intact. The _.map function also has the built-in feature of skipping nulls, so it saves us from having to manually do if-else null checks. Filter transforms an array by mapping a predicate function (function with a boolean return value) onto each element. The resulting array is made up of, potentially, a subset of elements for which the predicate returns true. The function supplied to _.filter has the same arguments as _.map. As you can see from the code above, _.filter abstracts the task of performing an if-else check to remove elements from the array, where the condition clause is encoded as the predicate function. The accumulator function is supplied the current running total (or accumulated value), the current value, index, and the array. Map, reduce, filter exercise: http://jsbin.com/cihuyo/edit?js,console. Chaining functions this way leads to very declarative code, which describes what the program should do rather than how it does it. Function chains allow you to describe the parts of your application without actually running it. Only when the last function _.value() is invoked does evaluation actually occur. Recursion has many uses in software, especially when solving self-similar types of problems such as traversing trees or mathematical progressions like Fibonacci. It turns out recursion can also be extremely effective at traversing any type of sequential data structures such as arrays, which is why it’s become the de facto iteration mechanism in functional languages. Traversing arrays recursively originates from realizing arrays are self-defined as collections, each having a head and a tail, both available as Lodash operations. Here’s a quick example of a sum function to add all of the elements in an array. The main benefit of recursion is that you can loop in an immutable manner since there’s no explicit loop counter to update. Hence, the responsibility of moving through the elements in an array is ceded entirely to the language runtime. 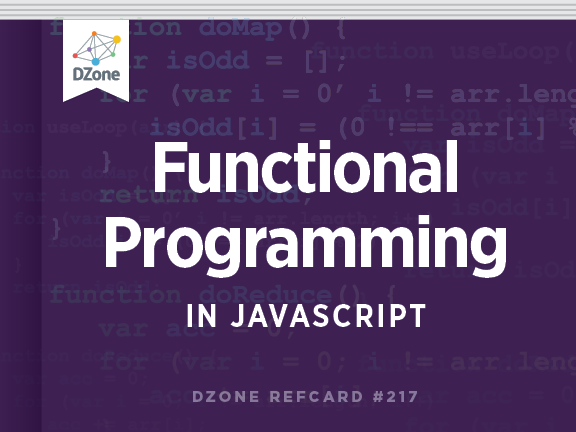 Functional programming provides very powerful abstractions that allow you to create functions from the definition of other functions or to augment the evaluation of existing functions. The first abstraction we’ll talk about is _.curry. This idea of partially applying arguments has another modality, known as partial application. Both currying and partial application are extremely useful when combined with composition. Composition is the process used to group together the execution of simpler functions. In essence, composition is a function derived from other functions. 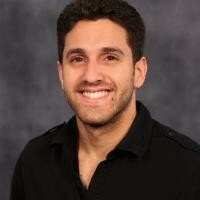 Currying and composition exercise: http://jsbin.com/fokixa/edit?html,js,console. Currying and composition provide abstractions over functions—the drivers for behavior in your application. Functional data types like functors and monads provide abstractions over the data. Functional data types part from the notion of mapping functions onto containers. You saw this earlier with the _.map function on arrays. In a similar manner, we can map functions over any type. You should realize that the original wrapped object was never actually touched, and not because it’s a string, but because mapping functions over the value always returns a new value, leaving the original unaltered. Functors are important because they introduce the idea of a function “reaching” into the container, modifying it, and placing the value “back into” it. As is, however, this wrapper doesn’t provide much more value. For instance, what happens if I wrap a null object and attempt to map functions over it? Monadic types are concrete implementations of this interface. In practical programming problems, monadic types are frequently seen to abstract and consolidate null checks and error handling. The two most frequently used are the Maybe and Either types. The Maybe monad can be used to model the presence or absence of a value (null or undefined) in a centralized and secure manner. Implementation details can be found at: https://github.com/ folktale/data.maybe. Maybe receives an object, and sets out to perform a couple of transformations: extracting the age property and then adding 1 to it. But what would happen in the case of null? Implementation details of Either can be found here: https://github.com/folktale/data.either. With both Maybe and Either, even if the function fails to look up a value, I can still map functions onto them, safely propagating and securing the error until reaching the end of the expression. Now try it for yourself: http://jsbin.com/juluka/edit?html,js,console. To isolate the IO operations into singular functions as much as possible. To control their side effects when used with the IO monad. Try out the IO monad: http://jsbin.com/butame/edit?html,js,output. To sum up, functional programming is a paradigm with a radically different philosophy from traditional object- oriented development. The main distinctions are apparent when considering functional programming’s declarative mode of expressing code, as well as its focus on preserving immutability through functions that execute in a side-effect free environment. At the core of functional programming lies functional composition and monads. Composition provides function abstractions used to create complex functions from simple ones. While composition abstracts control flow, monads abstract data. Monadic types provide a secure layer where invalid data is guarded from causing your code to fail. With the aim of being terse and expressive, functional programming is a paradigm that can boost your development productivity and create more robust applications. Is This Code Functional Vomit?